With over 10 years' experience handling special projects in Brazil, DC Logistics have moved a complete ceramic tile polishing machine from Italy to South Brazil. 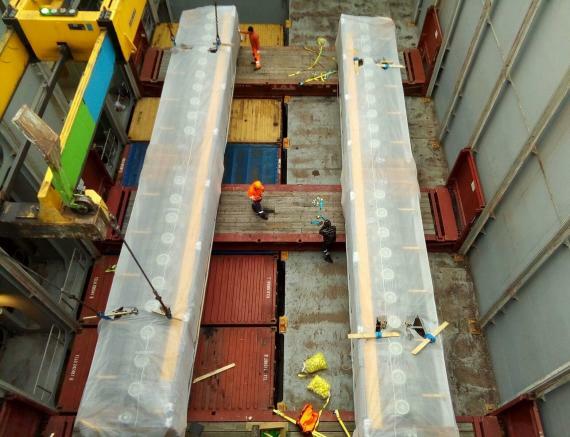 The shipment consisted of 2 loose pieces each weighing 33.5tns and measuring 16.90 x 2.40 x 2.40, 1 x 40' flat-rack, 10 x 40' OT and 2 x 20' OT. 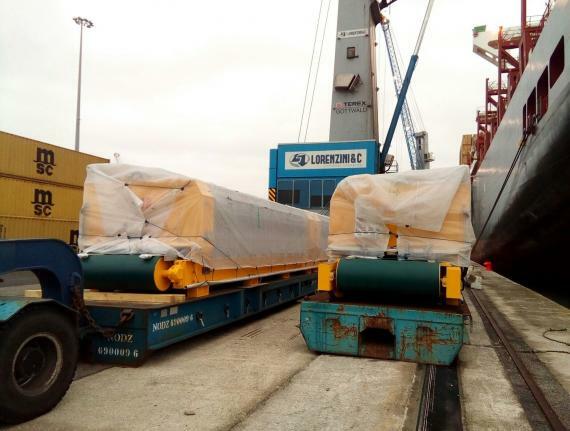 The cargo was picked up at 3 different locations in Northeast Italy and shipped from Leghorn to Navegantes in Brazil. See the gallery below for photos. 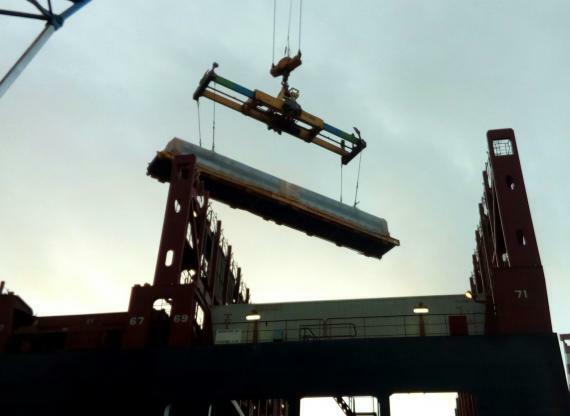 "The main challenge was to load the loose pieces with the containers to a Santa Catarina State Port in Brazil where there is no regular breakbulk service. 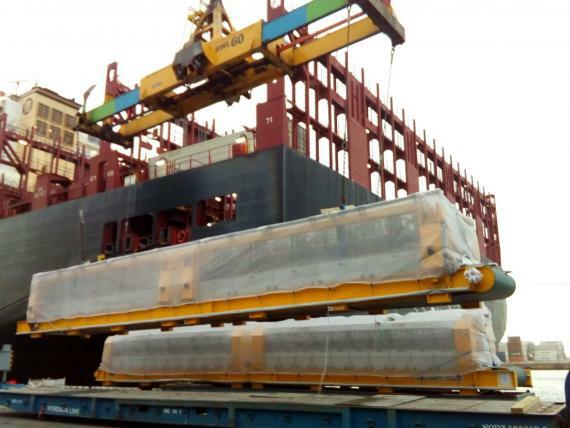 Due to the length of the loose pieces (16.90m), we were able to ship both pieces loose on a container vessel, loaded and lashed on a bed of flat-racks, along with the containers, all under same Bill of Lading."